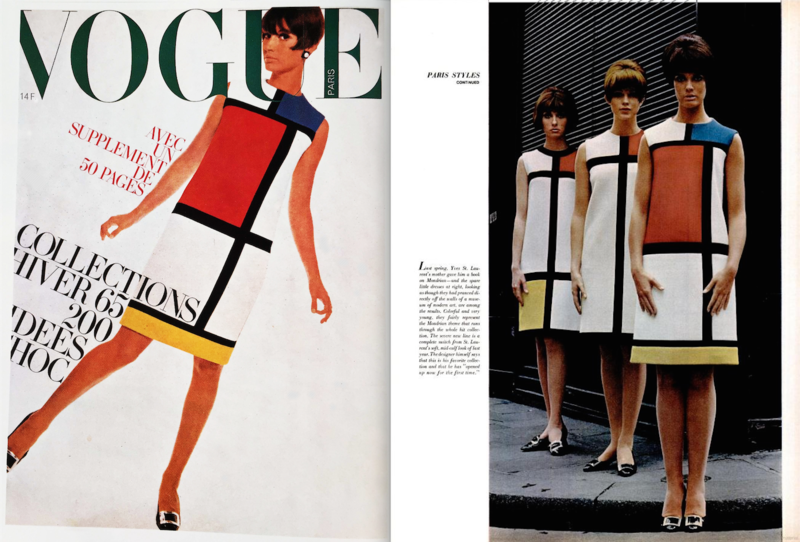 The relationship between fashion and art has been ever present – one need only look as far back as Yves Saint Laurent’s 1965 Mondrian dresses to find a sterling example, and it would be an almost futile exercise to try and recall the myriad ways in which art and fashion have interfaced before and after this shining example – including of course the way in which the dresses have become part of the collections of prestigious international art museums. Which leads more or less precisely into the heart of the matter – fashion has become an increasingly popular subject for museums – one need only think of the recent Dior exhibition at the Musée d’arts Décoratifs in Paris, or the Alexander McQueen retrospective, Savage Beauty, which was originally organised in 2011 by the Metropolitan Museum of Art in New York and was later housed by London’s Victoria and Albert museum. All of these exhibitions enjoyed record-breaking attendance and the sheer proliferation of dedicated museums; Yves Saint Laurent’s museums in Paris and Marrakesh being a prime example further underline this trend. But yet – aren’t clothes meant to be worn? Isn’t there something that, despite the accessibility, the curatorship, the artistry put on display, remains lacking? 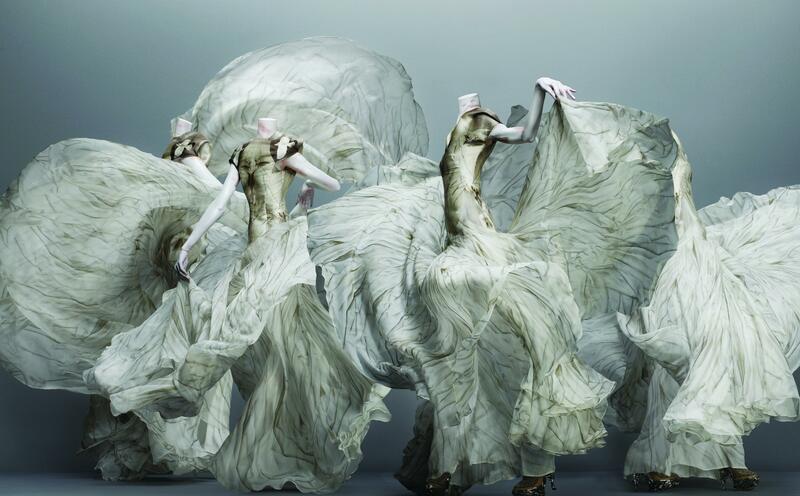 A pulse, a warm body and movement as the wearer strides along? And indeed while its important to archive garments and ensure that they are available as points of inspiration for posterity it is nevertheless ironic that the clothes thus archived need to be plumped up with paper, filled with an archive body so that the edges do not flatten and become brittle. The H&M museum of reeditions? It is in this context that last season’s Versace re-edition and re-imagination of archival pieces was such a hit. Designers talk endlessly about channelling the DNA of a given brand, but Donatella achieved this particularly successfully, introducing a new generation to the foundational designs. Similarly the edition or, and reinterpretation of, classic pieces in capsule collections such as the notorious H&M collaborations allow people to literally wear a museum. 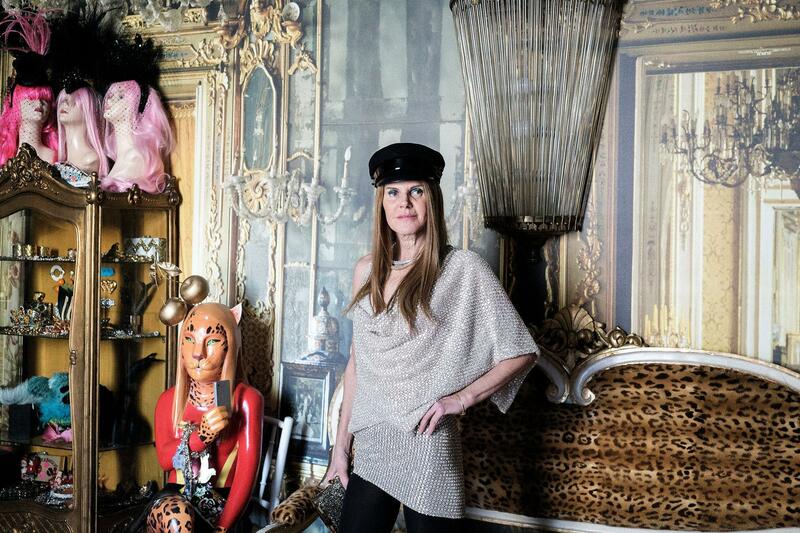 Likewise Anna Dello Russo’s auction of her incredible wardrobe – as opposed to donating it to a museum or costume institute – is an excellent idea. Coming from someone who loves clothes, and who loves to wear clothes, the manner in which she ensured as level a playing field as possible (many outfits were sold online via Net-a-porter, some with opening bids as low as €50) despite the undoubtedly stratospheric cost of the most prized outfits sold by Christies in a special auction on the opening night of Milan Fashion Week Fall Winter 2018. 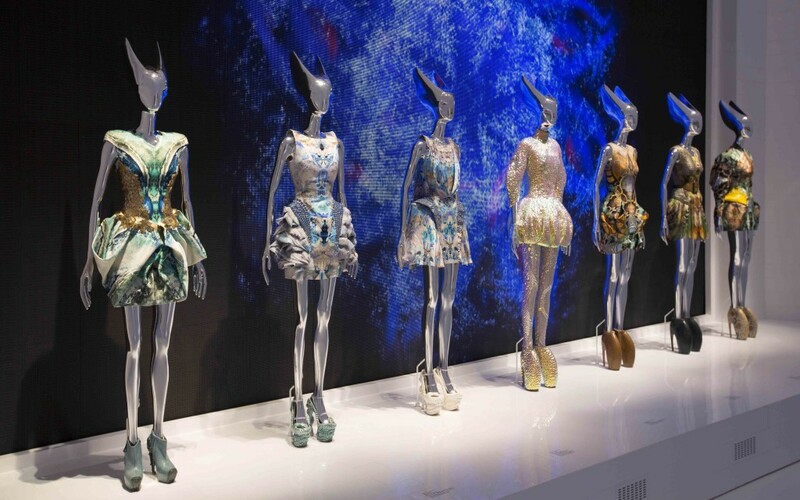 Proceeds benefit the Swarovski fashion fund, aiding in the education of the next generation of designers. So my real question is – when the next fabulous fashion exhibitions roll around, wouldn’t it be great to have a limited edition, see now buy now, archival capsule collection instead of a, admittedly lovely, but unwearable coffee table book?